Island: a piece of land that is surrounded by water on all sides As the island is allowed to render permanent artificial reinforced concrete design used for the arrangement of different structures. Archipelago: a group of several islands. 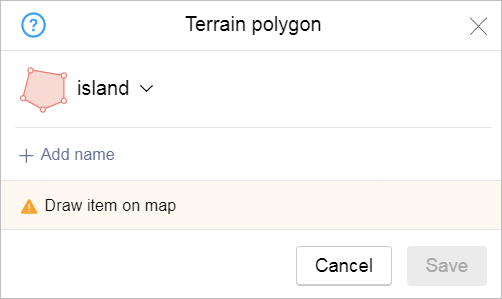 Other terrain items: all terrain items that do not correspond to one of the other types. 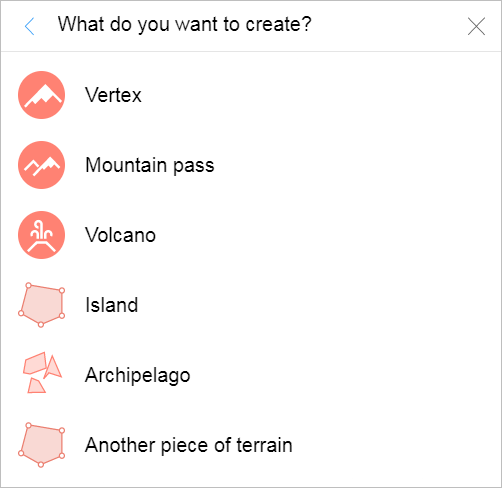 When adding attributes to terrain items represented by placemarks, you should not enter its height or data related to it (for vertexes, mountain passes, and volcanos). 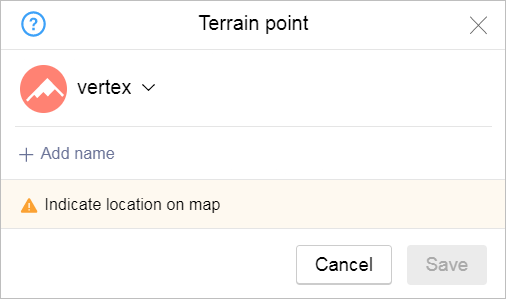 Terrain relief items are named in accordance with the general rules, see 3.1.3. Map item naming rules.